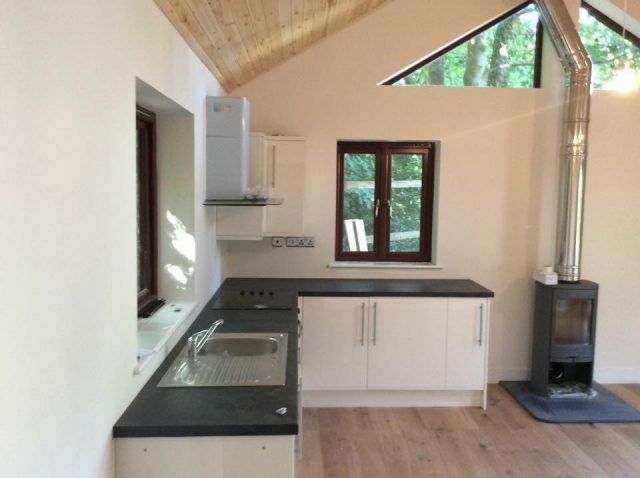 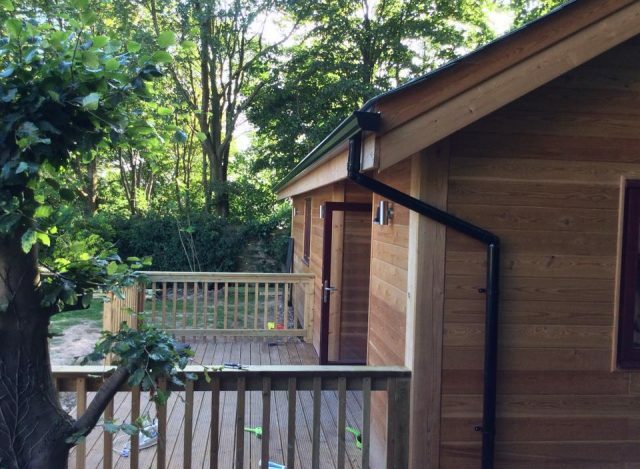 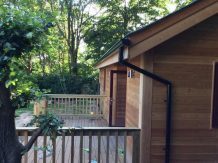 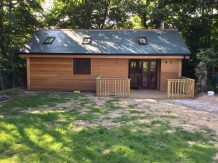 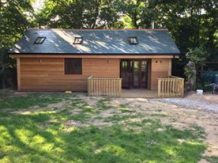 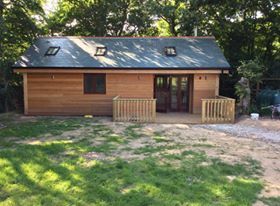 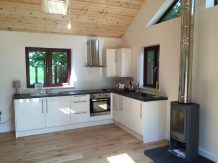 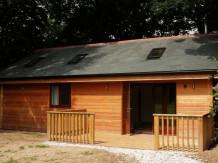 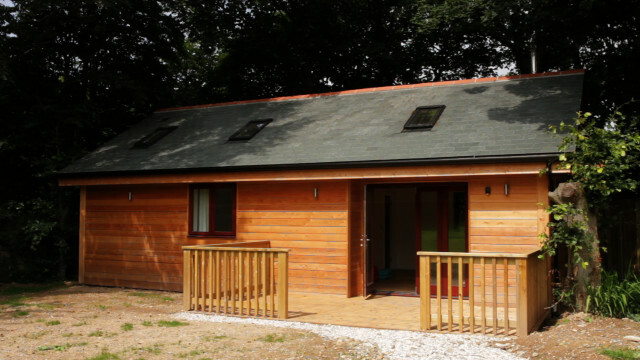 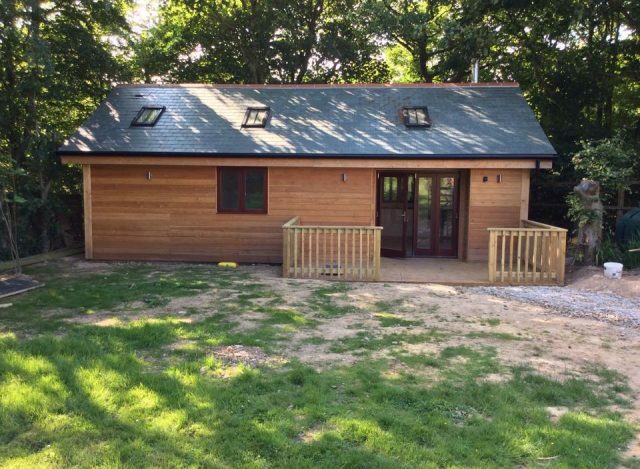 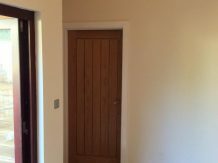 This is a lovely little two bedroom residential cabin near St Agnes, Cornwall. 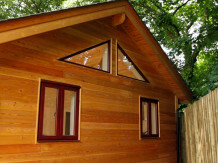 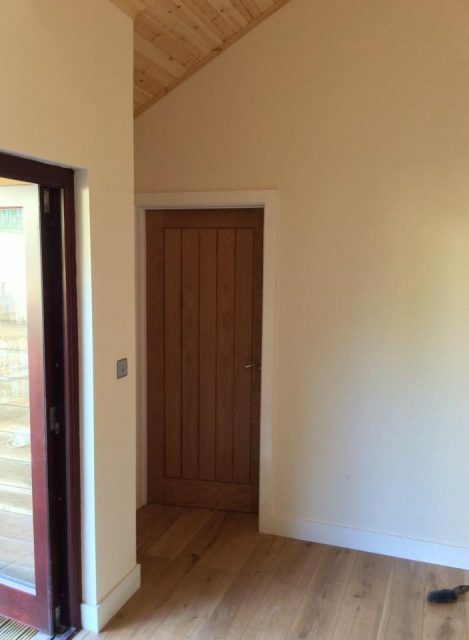 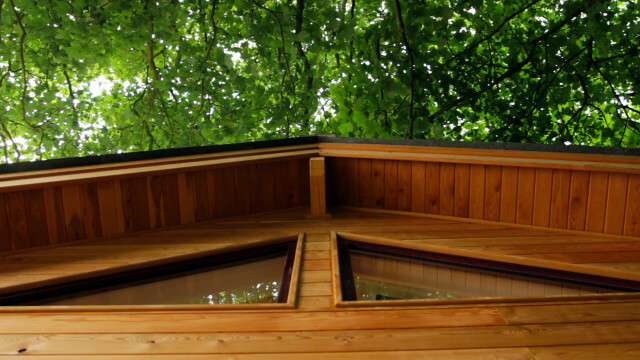 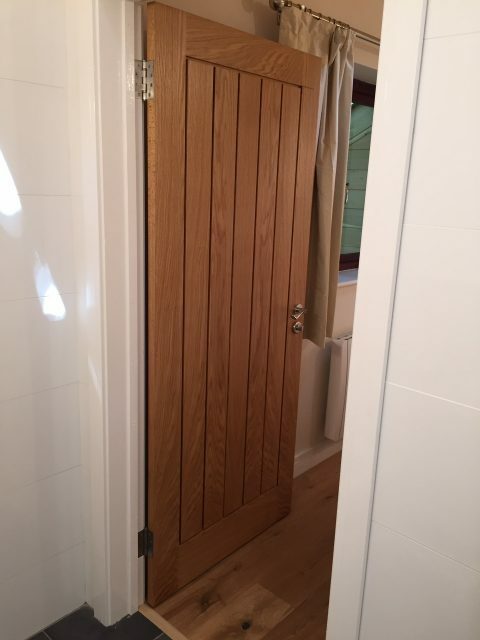 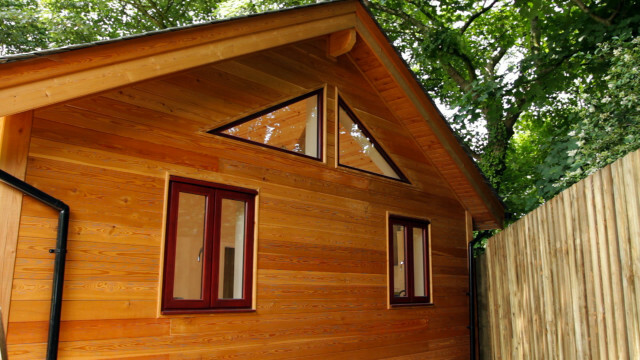 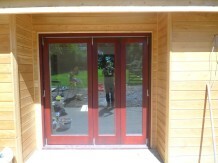 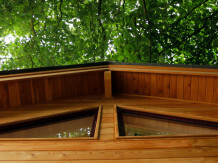 It is of timber frame construction and is designed to pass full building regulations for residential use. 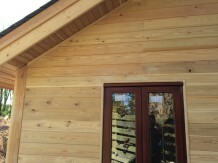 Externally the timber cladding is larch. 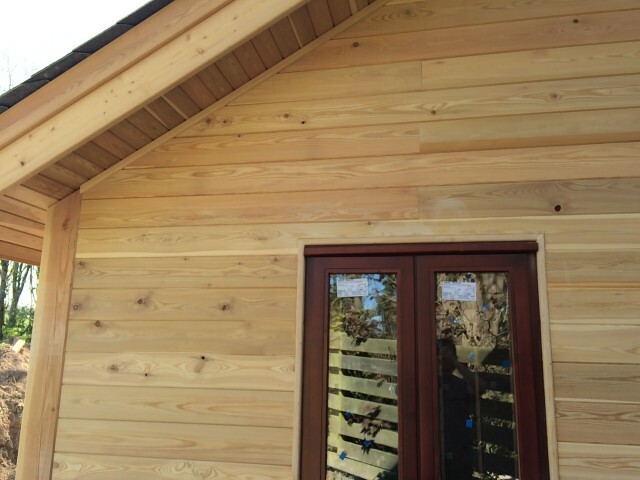 Larch has a high sap content and does not need any extra treatment. 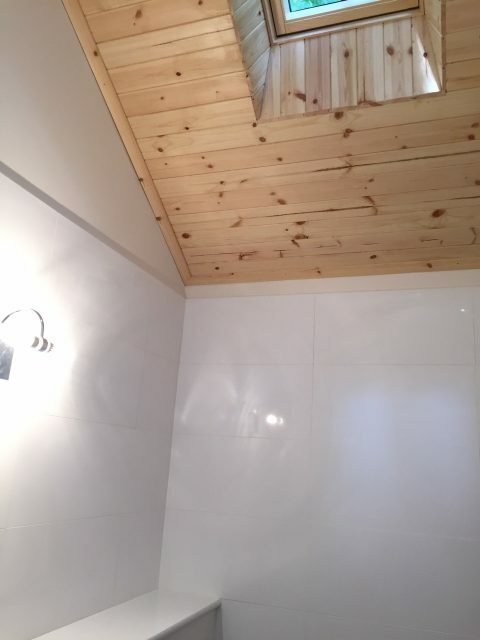 It will turn silver with age. The roof covering is natural slate and there are 6 velux windows fitted. 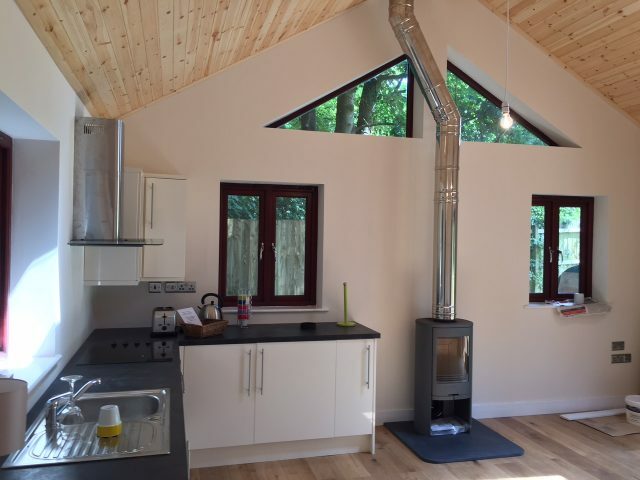 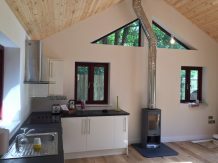 A log burner is fitted in the living/kitchen area. 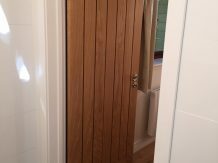 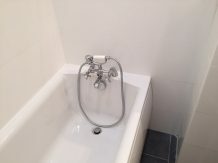 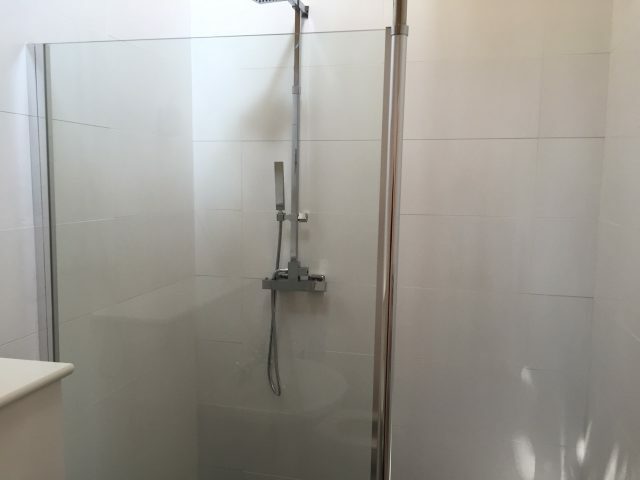 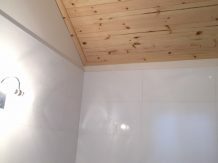 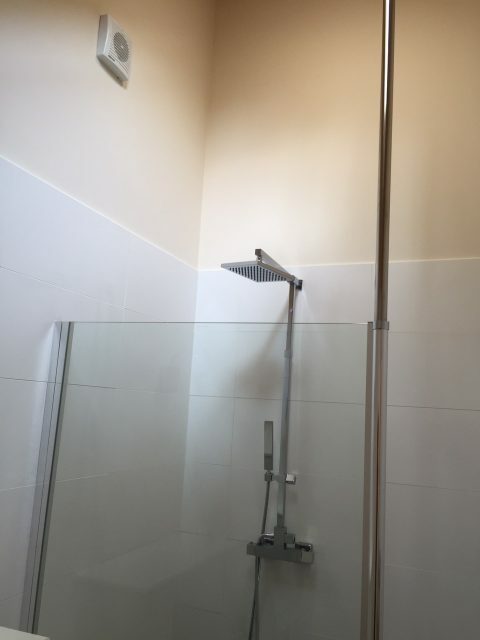 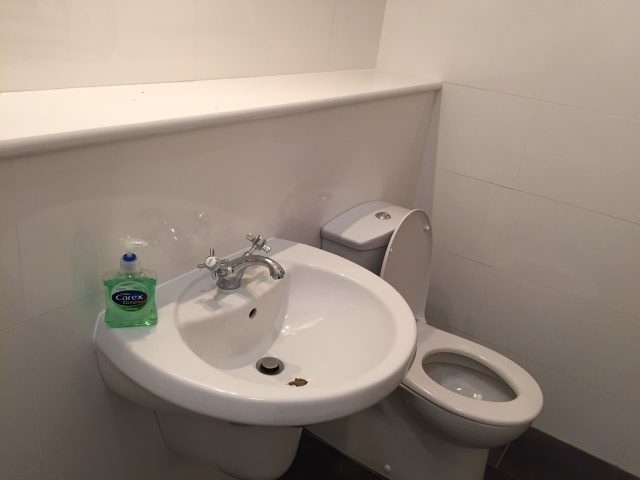 There is an ensuite bathroom for each bedroom. 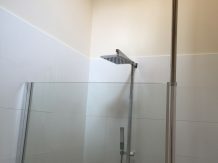 One has a beth and the other a walk in shower.